The Australian dollar has posted small losses on Friday, continuing the downward movement which marked the Thursday session. AUD/USD is trading slightly below the 0.73 line in North American session. On the release front, there are no Australian releases on the schedule. It’s a data-heavy day in the US, with the release of inflation, retail sales and consumer confidence reports. Traders should be prepared for some volatility from AUD/USD around the publication time of these key US releases. What’s next for the RBA? The central bank will release the minutes of its most recent policy meeting on Monday and the markets will be looking for clues as to the timing of another rate cut. The RBA surprised the markets with a rate cut last week, lowering rates from 2.00% to 1.75%. With a national election scheduled for July 2, the RBA is unlikely to make any monetary moves until August. If inflation levels don’t improve soon, the likelihood will increase that the RBA will step in with another rate cut in the summer. US employment numbers have looked sharp for most of 2016, but recent releases have pointed in both directions, raising concerns that the labor market is showing signs of weakness. Unemployment Claims, which have been moving higher, surged last week, hitting 294 thousand. This was the highest weekly claims level since July 2015. On Tuesday, JOLT Job Openings looked sharp in April, jumping to 5.76 million. This figure was much stronger than the estimate of 5.56 million. However, last week’s host of employment numbers were a mix, which predictably has raised concerns about the strength of the US labor market. Last week, Nonfarm Payrolls looked awful, as the key indicator slid to just 160 thousand, well short of the forecast of 203 thousand. This marked the lowest reading in seven months. On a brighter note, wages showed growth, as Average Hourly Earnings posted a second straight gain of 0.3%. Since a historic December rate hike, the Federal Reserve has opted to remain on the sidelines so far in 2016. The markets are now focusing on the Fed’s next policy meeting in June. Will we see a rate hike for the first time this year? 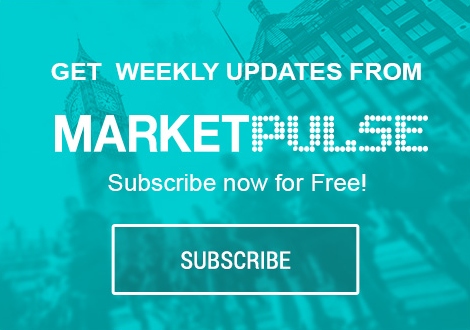 Last week’s soft Nonfarm Payrolls report took out the steam from recent speculation about a June move, but strong US numbers, particularly on the employment and inflation fronts, could quickly change market sentiment. We’ll get a look at Retail Sales, PPI and UoM Consumer Sentiment later on Friday, and these key numbers could play an important role in the Fed’s decision. The Fed will release the minutes of its April meeting next week, and the markets will be combing through the report, looking for hints about what the Fed has planned for this summer. AUD/USD ratio has shown slight movement towards short positions on Friday. Long positions retain a majority (55%), indicative of trader bias towards AUD/USD reversing directions and moving higher.